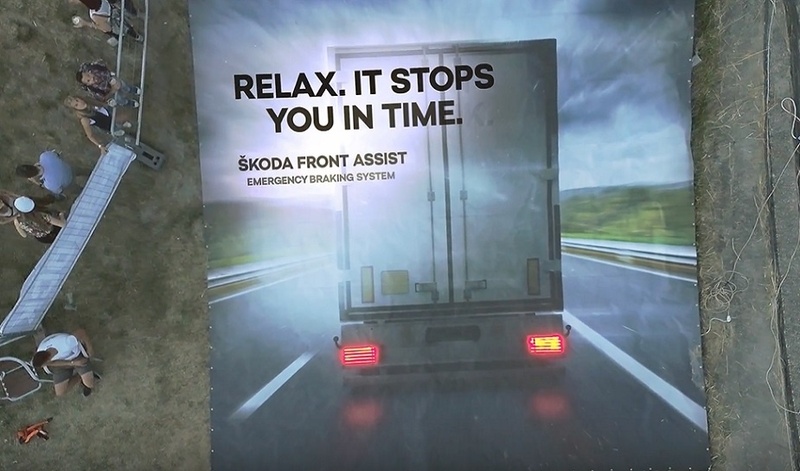 Recognising that the very best experiential marketing activations stay well and truly lodged in the mind long after the dust has settled, Skoda recently took a bold approach to promoting its latest technological advancement. To create a buzz about the launch of Skoda Front Assist – a powerful new vehicle detection feature designed to stop equipped cars automatically before a collision can take place – the brand wanted to do something pretty darn spectacular to get people talking. And that’s no easy task. After a, road safety is hardly at the top of people’s lists when it comes to hot conversational topics around the water cooler. To bring its latest automotive feature to life in memorable fashion, the brand took its ‘Skoda Jump Assist’ activation on tour to festival audiences, and encouraged fans to take on a big challenge: scale the dizzy heights of a bungee jump to experience, first-hand, the power of Skoda’s Front Assist technology for themselves. Those with the courage to take on the big jump were met with quite the view as they made their way down to Earth – a giant image of the back of a lorry. Braking. 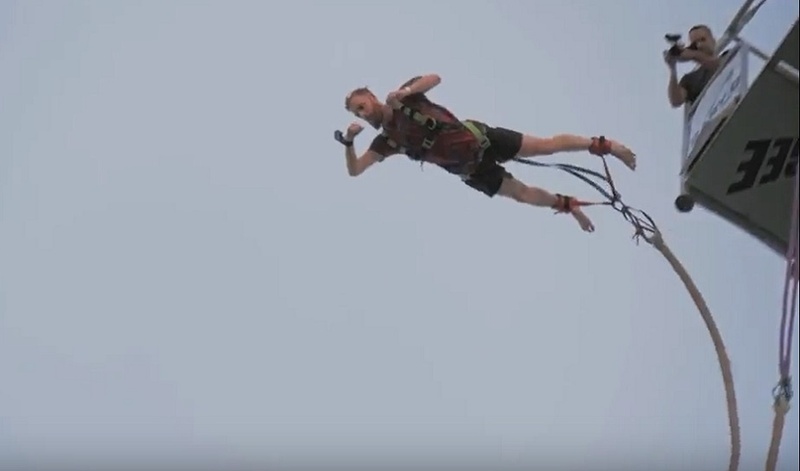 Of course, the bungee jump safely caught each and every participant in plenty of time before a collision could take place, but the simple visual stunt undoubtedly left a lasting impact on everyone that took part or watched the action from the sidelines, introducing Skoda to a young and enthusiastic audience in the process. Skoda is the latest car manufacturer to tap into experiential marketing’s power to great effect. Mercedes-Benz put children at the heart of its anti-collision campaign, while BMW‘s ‘Moving Billboard’ in Brussels made drivers stop and pay attention.